Raised cedar log bee hive stand will last forever! 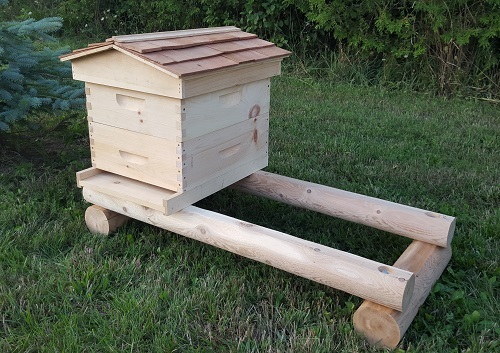 This rustic cedar log hive stand raises your hive 8″ off the ground and will last forever! Bolted together with galvanized hardware and fits 2 bee hives perfectly. Raising your hive off the ground helps to protect it from other critters such as skunks who will try and disturb your bees.